Time to broaden the search and delve beyond Netflix. Let’s dig into Redbox for August 2013. The Sapphires A very unique movie, just in the fact that the subject matter pertains to a girl group composed of aborigines. The male lead, Chris O’Dowd, will endear you forever. Just a smart, fun movie. DVD cover did receive flack and rightfully so. Chris O’Dowd did not star; the girls did. What’s here is not the cover. 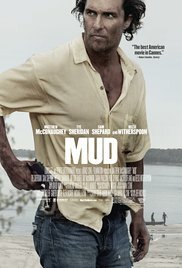 MUD starring Mathew McConaughy playing along side two very talented, young actors. Jury’s still out on MC. He received much applause from critics for this role, however, his speech mannerisms continue…little whistles through his teeth…and a very affected Southern accent. Still- worth watching. 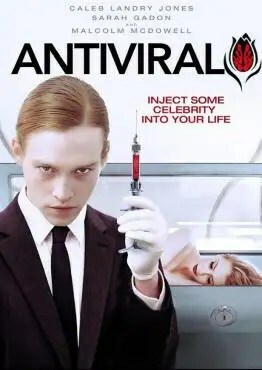 Antiviral tries hard to inject some terrifying “what ifs” and the creepy affinity, e.g., obsession some people have with stars. So much so, they’ll pay to have themselves shot up with the star’s disease. Unique, but really slow and you’ll keep waiting for something to happen. Look for the “star,” Caleb Landry Jones, to pop up in something else. He showed some acting teeth. Last Will and Testament of Rosalind Leigh Even more creepy to the point the writer’s seemed to think, “Let’s just keep trying to make this creepy.” They achieved the goal but to the point of drudgery for the viewer. Interesting, however, to see so many different statues all in one place. Venessa Redgrave lends her voice, but I never saw her. I did not finish watching the movie. This entry was posted in redbox and tagged Arts, barbara nicely, best redbox movies, best redbox movies august 2013, Caleb Landry Jones, Chris O'Dowd, DVD, Film, movie search, mud, Netflix, new on dvd, new on redbox, nicelycreative, redbox, Streaming media, the sapphires on August 15, 2013 by moviedig.